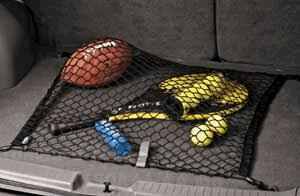 Luggage Hold Down Net * Helps keep packages and other loose items from spilling in your vehicle. 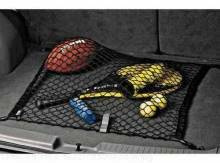 * The netting stretches easily over bulky-shaped items. * The soft, braided cording won't scratch painted surfaces. * Hooks at each corner attach to exhisting rings (or install those provided) in vehicles cargo area. 5 Passenger vehicles only.